he New Selective Protege is a more selective version of the original method, with increased average profits for each winning bet! Tony Gibson, the Author of The Protege has responded to some users concerns over there being too many bets produced by the original Protege System. In response he has modified the system to be far more selective. These modifications are very simple and drastically reduce the number of bets. Not only is the number of bets reduced, but the average profit for each bet is increased by 274%. Tony Gibson States, Like most good Flat Racing Systems, the most profitable period is from the start of June until the end of the season. Using the original system rules would have made you a tidy 849 points in this period. Some users of the system are finding too many selections to be totally comfortable using this method, so I have made some simple changes and created the New Selective Protege Method. This modification cuts down on the number of bets placed daily dramatically. You would place over 900 Bets LESS than using the normal rules, yet your profit (based on last seasonâ€™s results) would have been over 500 Points from just 252 bets. WITH PRICES AT ODDS UP TO 66/1. The Protege has a totally unique approach to making profits from the thoroughbred industry that will change your views on selection forever. Whatever stakes you bet with, you could have won a thousand times that last season. Out of 212 betting days the system was operated in the 2008 Flat Season, on only18 of those days didnt I go to my bookmakers counter to collect. (Tony Gibson). With a winner 9 days out of 10, your friends will be fed up of seeing you at the bookies every day collecting your winnings they will be convinced that you have connections... How many times has a short priced favourite been beaten by an apparent outsider of 16/1, 20/1, 33/1, 40/1 and yes even 66/1. The Protege finds these good things on a regular basis before the betting public at large know anything about them. The Protege System takes a totally new approach that is both logical and extremely effective. 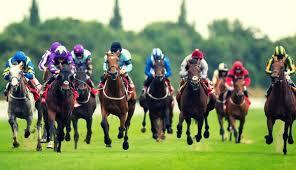 It enables you to make very speedy selections, often horses with no previous form. It is this lack of form that means you are often on horses with very high odds with only you in the betting shop that knows their real chances of winning. No knowledge of form is required to operate this method. All of the groundwork has been done for you. The Racing Post Newspaper or Racing Post Online (Free) is all you require. Selections and bets all found in advance of racing (the evening before if using RP Online) usingvery simple process. Level Stakes Bets placed to SP, Tote or Betfair Prices. A complete analysis of results is included within this circular detailing results from April through to November 2008. They show the potential for Big Profits every month from now on and you will see why the author recommends using the Tote or Betfair prices. When you buy the system we will also supply full and comprehensive results. PLEASE NOTE: Past buyers of The Protege Method have been sent a complimentary copy of the new version.